PRESIDENT MNANGAGWA appoints his nephew Martin Rushwaya as Deputy Chief Secretary for Adminstration and Finance, while Ambassador Mark Grey Marongwe is the new Secretary for Defence and War Veterans Affairs. 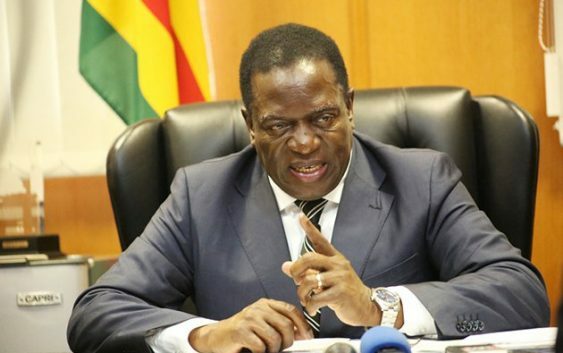 “His Excellency the President, Cde ED Mnangagwa, has appointed the following senior Government officials: In terms of Chapter 10 Section 205 (1) of the Constitution of Zimbabwe Amendment (No. 20) 2013; Martin Rushwaya as Deputy Chief Secretary for Administration and Finance (Accounting Officer) in the Office of the President and Cabinet; and Mark Grey Tichatonga (Marongwe) as Secretary for Defence and War Veterans Affairs. “In terms of Section 5 (1a) as read with Section 5 (2) of the Immigration Act, Respect Gono (has been appointed) Chief Immigration Officer. The appointments are with immediate effect.”Mr Rushwaya was the Secretary for Defence before his new appointment. Mrs Gono is a senior civil servant in the Office of the President and Cabinet and has served Government for 27 years.She replaces Mr Clemence Masango, who is now the Registrar-General. He acted as charge d’affaires at the embassy between 1993 and 1995 before the appointment of a substantive ambassador.Ambassador Marongwe also served as Zimbabwe’s High Commissioner to Mozambique early 1999 before he moved to the Democratic Republic of Congo as ambassador in 2002 to supervise the withdrawal of Zimbabwean troops. The Embassy in Kuwait also covered Jordan and Lebanon.Ambassador Marongwe was a guerilla fighter with Zanu-PF’s Zimbabwe African National Liberation Army (ZANLA) from 1975 to 1977.